CPAP vs APAP: Which one to Choose? 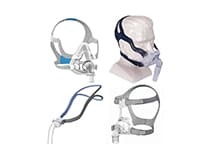 There are many sleep apnea treatments available on the market today. Some of the two most popular treatments are CPAP machines and APAP machines. If you are looking for the best CPAP vs APAP reviews then the information here will help you find what you are looking for. Choosing the right sleep apnea treatment is very important in order to help you efficiently manage your sleep apnea, other sleep disorder or respiratory illness. In addition, when choosing what treatment is right for you finding out the differences available in types of machines, the specifications of the machines, pros and cons of the machines and much more is very important. Some other helpful articles related to this one include my BiPAP vs?CPAP article as well as my VPAP vs CPAP article! 2 What are CPAP machines and APAP machines? 3 What are the differences between CPAP mahines and APAP machines? 4 Why do patients choose either a CPAP machine or an APAP machine? 6 What are the pros of the CPAP machines and the APAP machines? 7 What are the cons of the CPAP machines and the APAP machines? What are CPAP machines and APAP machines? CPAP machines and APAP machines are very efficient ways in treating and managing sleep apnea, other sleep disorders and respiratory illnesses. CPAP stands for continuous positive airway pressure and APAP stands for automatically adjusting positive airway pressure. What are the differences between CPAP mahines and APAP machines? As you can see the first difference from CPAP vs APAP machines is that the CPAP machines offer one steady airway pressure while the APAP machines have airway pressure that is adjusted automatically based on the breathing of the sleep apnea patient. With the CPAP machines your doctor will set the machine to offer the amount of airway pressure they have deemed is necessary to manage your sleep apnea, other sleep disorder and respiratory illnesses. With the APAP machines a recording device or recording software with the machine track how much airway pressure you need and will adjust based on your needs. Why do patients choose either a CPAP machine or an APAP machine? Generally patients who have many changes in their breathing issues during sleep will opt for the APAP machines to treat and manage their disorder or illness. 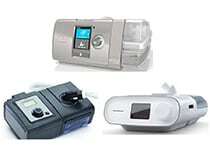 Other patients who have had the same continuous issues over time have opted for the CPAP machines. Some patients generally just do very well with the continuous airway pressure from the CPAP machines. There are also some patients who start with a CPAP machine and that airflow does not help to manage their symptoms enough so they are switched to an APAP machine. 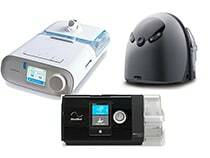 There are many CPAP machines out there however my team and I have practically tested them all and complied a list of the best CPAP Machines. As you can tell from above CPAP machines do have high ratings however sometimes CPAP machines are not efficient in treating and managing some patient?s disorders or illnesses. Out of all the APAP reviews you can see that they are highly rated. APAP machines allow for sleep apnea patients, other sleep disorder patients and respiratory illness patients to get the treatment they need. What are the pros of the CPAP machines and the APAP machines? Both the CPAP machines and the APAP machines have pros about them. Here we can compare them both to see them side by side. 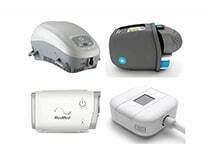 Some of the CPAP machines have the following pros. As you can tell above, CPAP machines have many different benefits that are beneficial for a sleep apnea, other sleep disorder or respiratory illness patient. The APAP pros have been proven in many patients who need these machines. Click here for more information on the benefits of APAP machines. What are the cons of the CPAP machines and the APAP machines? Even with these few cons APAP machines have been rated very highly by many patients. CPAP machines and APAP machines are very effective treatments for sleep apnea, other sleep disorders and respiratory illnesses. If you are one of these patients check out different CPAP machines and APAP machines today. Click here to find out the differences between CPAPs and BiPAP machines as well. CPAP machines work perfectly for the majority of people that are diagnosed with sleep apnea. The biggest downside to APAP machines are that they cost more money. If you do not need an APAP machine, a CPAP machine will definitely suffice. 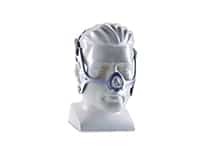 I also recommend that you pick up a CPAP cleaner such as the SOclean 2 because the tubes, masks and machines get pretty dirty with frequent use. 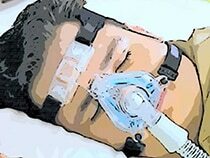 Some other helpful articles if you are new to sleep apnea are: my favorite CPAP masks, the best masks for side sleepers as well as the best BiPAP machines on the market today!I hope this article was helpful for you guys! Sleep well! I would point out that SoClean and similar machines do not actually clean the CPAP devices. The only way to actually clean the mask and hoses is with warm soap and water-I use a n old toothbrush and ordinary household liquid detergent. I occasionally clean the hose with soapy water and ordinary nylon net attached to a long rod. These cleaning methods are effective and have virtually no cost whatever. As we are well aware, the SoClean machines cost more than $200. and do not pyysically clean anything.